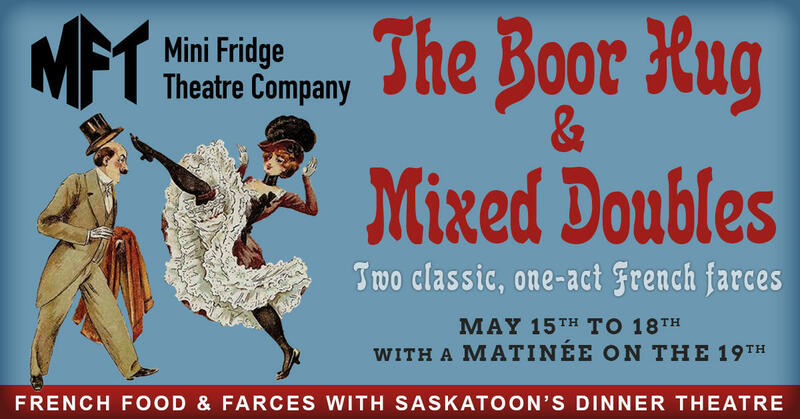 Saskatoon's Mini Fridge Theatre Company concludes its 2018/19 season this May with five dinner theatre performances of two classic, one-act French farces (performed in English) from the father of farce, master playwright Georges Feydeau! 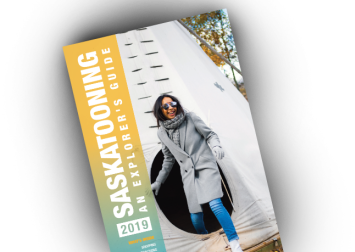 Join us between May 15th & 19th at the Saskatoon German Cultural Centre for an evening (or matinée) of French food and farces! Doors open at 5:15pm. Meal from 5:30 to 6:30pm. Show to follow. Doors open at 11:45am. Meal from noon to 1pm. Show to follow. 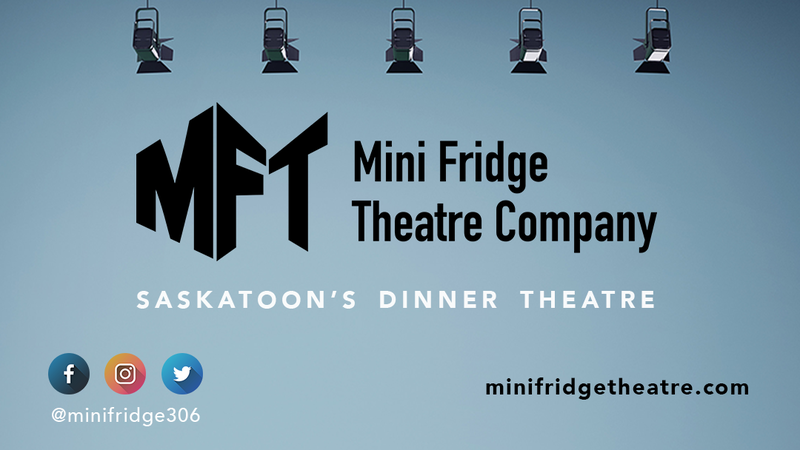 Tickets to this Mini Fridge Theatre Company dinner theatre production are available by calling the German Cultural Centre at 306-986-4045. Evening performances are $50 plus tax. $40 plus tax for the matinée. In “THE BOOR HUG,” Casimir could use some help landing a rich wife. Unfortunately, help comes in the form of a bumbling, witless, country manservant named Flugel. In “MIXED DOUBLES” (or How Stupid Can Some Men Be? ), madness ensues when Pompe-Nicole and Bordeleau arrive at Chez Dominique, where they encounter an overly-friendly maitre d’ and his wife. But are their society ladies really who they appear to be? This is a double date that you don’t want to miss out on! Visit www.minifridgetheatre.com for more information.